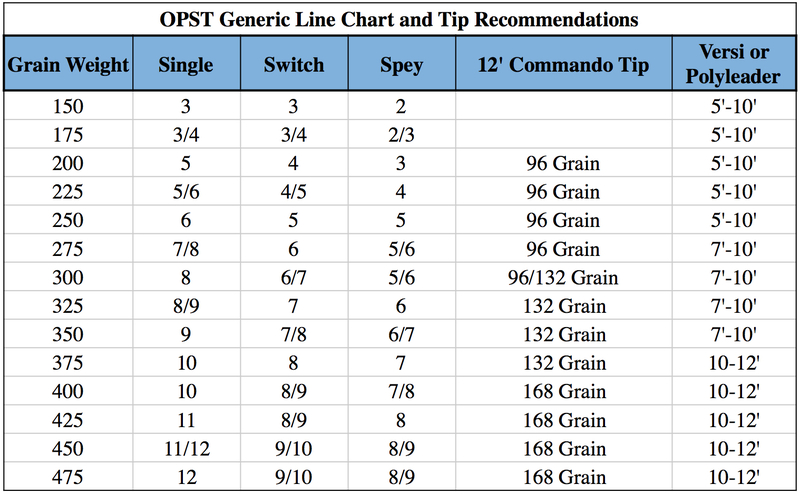 OPST's Commando Heads are the result of decades of focus on sustained anchor systemology (SAS) by Ed Ward. They are designed to expand the capabilities of shorter spey rods, switch rods and single hand rods beyond that of normal. You may be surprised at their short length, but this was no accident. The ultra-short design provides an effortless casting feel and enhances performance in circumstances of restricted casting room, troublesome winds and in casting bulky flies. It also makes them more fishable than longer lines that are hard to control on the water. Wanna roll cast? Underhand? Nymph? Single hand Skagit with a haul? Overhead? Go right ahead. You have never cast a line like the Commando. Please note: the end with the line ID, which is also the fat end, is the FRONT END.